Creating a parenting plan is a difficult task and must be well thought out to accomplish what’s in the best interest for a family. Sometimes situations arise where the plan is no longer working. In a case where one parent won’t cooperate, you may need to petition for enforcement or for a modification of prior orders. Prescott Tax & Paralegal understands this may be overwhelming, and offers assistance in preparing these legal documents in Prescott. While there are many suggested parenting plans available through the court system, the goal is to make sure your children feel safe and secure, and they are properly cared for. You feel you should have more time with your children. Your responsibilities for caring for your children are causing you to feel overwhelmed. Your children are stressed or no longer happy with the arrangement. You suspect the other parent is abusing or neglecting the children. The other parent has an addiction and may put your children in danger. In a case where you feel the children may be in danger, you need to take swift action to ensure their safety. In other cases, you will need to petition the court for a modification. If parents can come to an agreement, the modification should be granted without difficulty. The process becomes more difficult if the parents can’t agree to the changes. 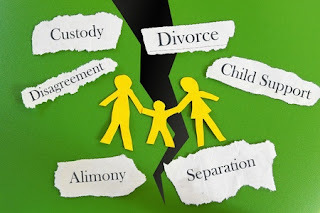 If you are going through the challenging process of modifying a prior custody arrangement, and you need assistance in preparing the necessary documents in Prescott, contact the experts at Prescott Tax & Paralegal at 928-778-3113.